Food Vendor – Hopkins Raspberry Festival! The Marketplace Arts and Craft Fair takes place from 9 a.m. – 4 p.m. on Hopkins Downtown Mainstreet. 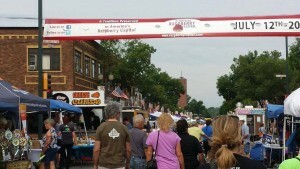 The entire community of Hopkins and the surrounding communities turns out for the fair to enjoy food, music, and dozens of vendors displaying their crafts, artwork, and business opportunities. The craft fair runs a span of seven city blocks. There are over 180 individual craft booths. The Families in Central Park event takes place from 4 p.m. – 10 p.m. in Hopkins Downtown Central Park. The event is geared for families of children of all ages and includes: food, music, inflatable rides, face painting, balloon art, Hennepin County 4-H displays, animals and more. This event is in its eighth year and concludes with a low-ground fireworks show. The Grande Day Parade event takes place form 11 a.m. – 3 p.m. on Hopkins Downtown Mainstreet. The Grande Day Parade has over 120 entries including: royalty floats, Zuhrah helicopters, dance groups, commercial and marching bands. The Grande Day Parade runs a span of twelve city blocks and starts at 1 p.m. The parade is preceded by a 5K race. Vendors are encouraged to setup early as the parade is the staple event of the festival. 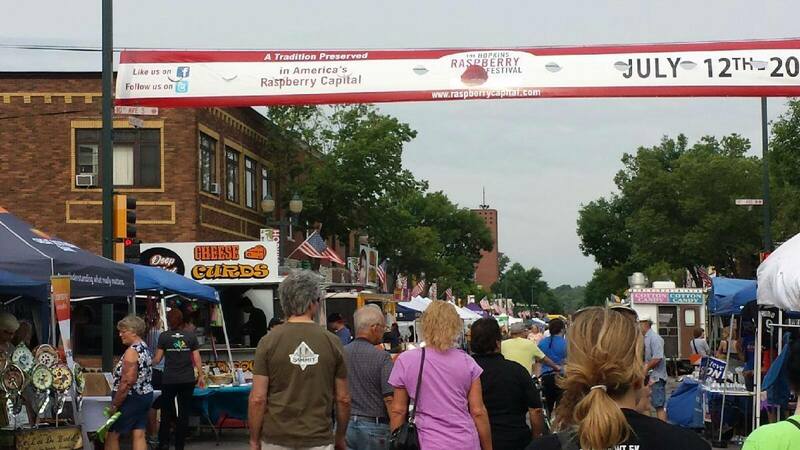 The Hopkins Raspberry Festival is using Eventbrite to register vendors for each event. We will notify you of your location through Eventbrite in July. Select the green “Register” box. Enter a 1 for each event you want to be a food vendor and select the green “Checkout” box. Complete the buyer, and registration for each event. Checkout using Pay.pal to complete your registration and billing. You will receive an email with your booth confirmation. The Food Vendor coordinator will also receive an email confirming your registration. Application must be received by Sunday, July 1, 2019. Please Note: If you are a vendor with a valid Minnesota Department of Health or a valid Minnesota Department of Agriculture Mobile Food License, you are not required to submit an itinerant food license to Hennepin County. You must have a valid license (original document – no photocopies) on hand the day of the event for inspection. If you do not have a Minnesota Department of Health or Agriculture Mobile Food License, please submit an Itinerant Special Event Food License Application to Hennepin County. The itinerant license is a separate fee from the application process. You must supply your own source of power for the events and meet all state electrical connection and emergency shut-off requirements. An inspector will be on hand at all events to ensure that electrical codes are being met. The Hopkins Raspberry Festival will no longer reserve a location based on your past year registration. Your payment is due with the application form. Vendor locations will be designated by the Marketplace Coordinator upon the registration deadline. There will be no refunds due to inclement weather. This event takes place rain or shine. Thank you for your interest in becoming a food vendor for the Hopkins Raspberry Festival! The Hopkins Raspberry Festival reserves the right to deny or refuse any application received. Application must be received by Monday, July 1, 2019.